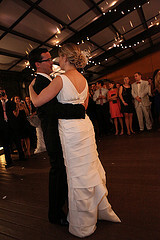 Rent ARTiculate Gallery for your wedding! 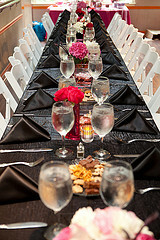 The Top of the Arts (TOTA) space rental program offers a unique setting at an affordable rate for all types of events. VSA Washington DC, located on the corner of 16th and L Street, NW, is the perfect location for your next business or social event! TOTA, VSA DC’s facilities rental program, offers intimate spaces at an affordable rate. While stylishly entertaining your guests, you will also be supporting a local non-profit, VSA Washington DC! All of the proceeds from our rental program support the organization’s efforts to provide a complete arts-integrated education to students with special needs, special talents, and special abilities. The Top of the ART rental program in our fully accessible building – two blocks east of the Red Metro Line’s Farragut North exit and two blocks north of the Orange and Blue Metro Line’s Farragut West exit. There is metered street parking as well as several parking lots on L Street and 17th Street.